On June 7, Capitol Records will release Emeli Sandé’s new album,Real Life. Available HERE for pre-order, the album was recorded following an intense personal journey of self-doubt and self-discovery. Real Life marks a brand-new chapter for the four-time BRIT Award winner, who forges a bold, confident and fearless new sound. Fans who pre-order the digital album will instantly receive the first single, “Sparrow.” See below for track listing. 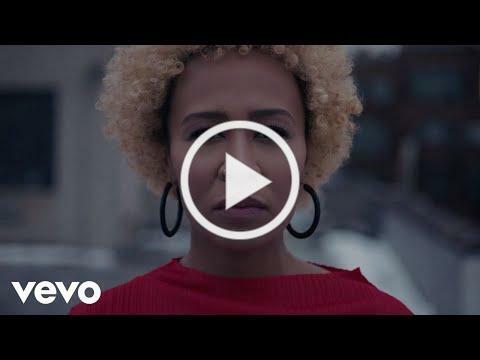 Building on this momentum is lead single “Sparrow,” which Rolling Stone praised as “a staggering new anthem.” Idolator said, “it’s a soaring ballad that serves vocals and emotion…Emeli is back and ready to reclaim her throne…” Watch the official video for “Sparrow” HERE. “Survivor,” with its flecks of R&B and gospel, showcases the singer’s dynamic voice and “Honest,” a tender piano ballad, sees the singer deliver one of the most emotive songs of her career. The cinematic, string-led “Free as a Bird,” which closes the album, is timeless. Real Life follows Sandé’s 2017 EP, Kingdom Coming, which included the singles “Starlight” and “Higher.” She has sold more than six million adjusted albums worldwide and nearly 20 million adjusted singles, across all tracks. Her full-length debut, Our Version Of Events, was named as one of the best albums of 2012 by critics worldwide and certified Gold in the U.S.It broke the U.K. chart record for the most consecutive weeks inside the Top 10, beating the 50-year record previously held by The Beatles. The first single, “Next to Me,” sold more than seven million downloads worldwide, including 1.5 million in the U.S., where it is certified Platinum. Sandé’s second studio album, Long Live The Angels, was hailed as “a clear, accomplished cry from the heart” by The New York Times’ Jon Pareles. Shewent on to win “Best Female” at the 2017 BRIT Awards, marking her fourth BRIT Award win to date. She was also appointed Member of the Order of the British Empire (MBE) for her services to music in the 2017 Birthday Honours. The multi-instrumentalist initially made her mark as a songwriter in the U.K. urban scene, later becoming a highly sought-after writer for a wide array of international acts including Alicia Keys, Rihanna (alongside her friend, the producer Naughty Boy) and Katy Perry.